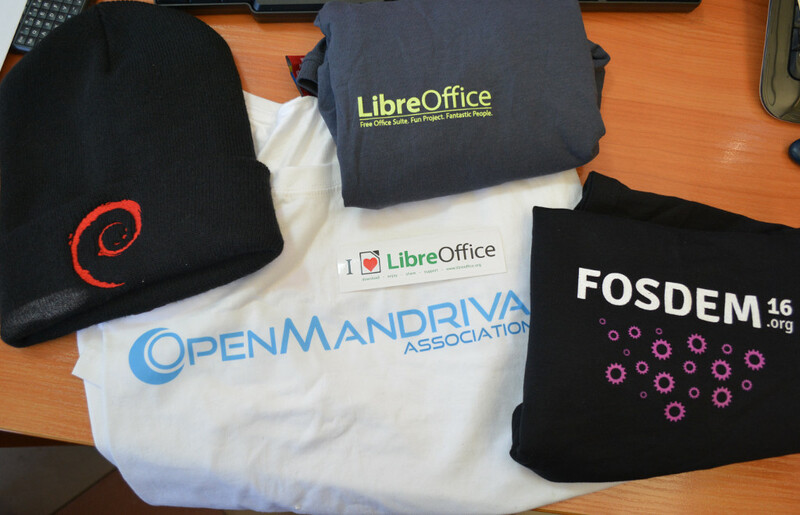 Last weekend in ULB (University Libre of Bruxelles) took place the biggest Open Source event in Europe – FOSDEM. With 678 talks, split in 55 devrooms this is something every open source enthusiast waits whole year. It’s amazing how the organizers make such event possible, between 8 and 10 000 people all around the world come together at one place. If you want to meet some open source project, Linux kernel or Linux distribution maintainer there is great chance to meet him/her there. FOSDEM usually is made in the weekend Saturday and Sunday, but traditionally starts with Friday evening welcome beer party at Delirium cafe. Do not be fooled by the name nobody go there to drink coffee. In Saturday the talks started, needless to say for me most interesting was the CAD and Open Hardware devroom. One of the most anticipated talk there was about KiCad 5 new features. Wayne Stambaugh the project manager started his talk with red T-shirt from Digikey and announced that Digikey made the single most significant donation to KiCad team just few days before the conference. So he said them “thank you” by presenting his talk wearing their red T-shirt. It was very interesting to hear that Wayne got feedback from popular PCB prototype providers, that about half of PCB projects now they receive for prototyping production are made with KiCad! It’s amazing to see the progress KiCad made for the last 4 years! I personally like more the T-shirt Wayne was wearing when he closed his talk 😉 KiCad team really like the complex boards we design with their product and this was very kind gesture. Another interesting talk was Introduction to LibrePCB . This is the first time I hear about this project and it looks itneresting. The author is obviously capable young man and thinkered a lot about how to make component libraries more easy to use, but while I was watching the talk I was wondering (as many others) why the author just do not join KiCad, which is already well established project and leading as features and completeness. We all know that KiCad team is very small and more people joining the project will make much more sense than to re-inventing the hot water, because you do not like some feature in this popular project. Well this is the open source 🙂 and everyone is free to scratch his own itch, but I would love to see Urban Bruhin helping KiCad to become better instead to duplicate the work creating similar product alone. Jesús Arroyo Torrens presented Icestudio – graphical way to program FPGAs. I would say this is quite entertaining and easy start for beginners with no previous knowledge about electronics. Juan Gonzalez-Gomez (Obijuan) upgraded this talk with very entertaining presentation about what he did with Icestudio and small funny blocks he created. He is using his daughter as beta tester. I recommend you to watch this talk when the video is available. Juan and Jesus are part of Spanish community working with FPGAs. You can see more about what they do on this site FPGAwars. Staf Verhaegen shared his findings about is it possible today to implement ASIC design with open source tools. Very interesting topic, let’s hope the time Makers and small companies will be able to make their own chips with Open source tools is approaching. My talk was about current TERES laptop status and the experience we got during the development with KiCad. Using FOSS tool like KiCad is great to make OSHW, but if you want to use latest features and the daily builds, they are available only via ppa repository for Ubuntu. This means if you use other distribution you have to build from sources every day. Windows daily builds are not available at all. This confuses many beginners who can’t manage to open our files when they want to study them as they use old builds (official Ubintu repository KiCad version is probably one year old, same for Windows version). My slides are now uploaded at Slideshare. It was nice to see three four other talks at FOSDEM by Bulgarian speakers! Overall FOSDEM is must see event for anyone who is interested in FOSS/OSHW. Bruxelles is excellent location and offers lot to see, both Wizzair and Ryanair offer low cost flights to this destination and I don’t know where else you can drink beer from half meter glass (not half litter but half meter!) so looking forward to see you next year there! FOSDEM 2018 the biggest European even for Open Source technologies is approaching! Thousands of people who support Open Source meet together for weekend in Universite Libre de Bruxelles, share ideas and talk on interesting topics for the community. Here is the list of all dev rooms which will be available. Needless to say for us most interesting is the CAD and Open Hardware dev room. FOSDEM 2017 is approaching, are you ready for soldering workshops and playing with TERES-I DIY Hacker’s friendly OSHW laptop? 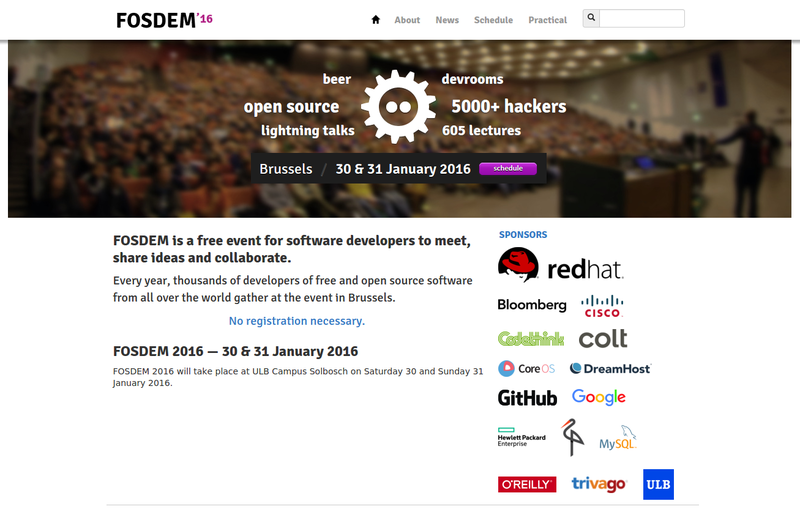 FOSDEM is the biggest event in Europe about Open Source technologies. Every year thousands of FOSS/OSHW enthusiasts and professionals meet in Brussels in ULB (Universite Libre de Bruxelles) in 41 Dev Rooms and talk about interesting problems they have faced during the year. We just got e-mail that Olimex is approved for booth there! So prepare for soldering workshop fun with the OSHW-GHOST and FOSDEM-85! TERES-I Do It Yourself Hacker’s friendly modular Laptop designed completely with KiCAD will be also present at the booth. KiCAD developers are in EDA room and as far I heard there will be very interesting tutorials and how-to’s examples how to implement simple new commands and extensions to KiCAD for people who want to contribute code. So plan in advance your flight to Brussels, we looking forward to see you there 4th and 5th of February 2017! 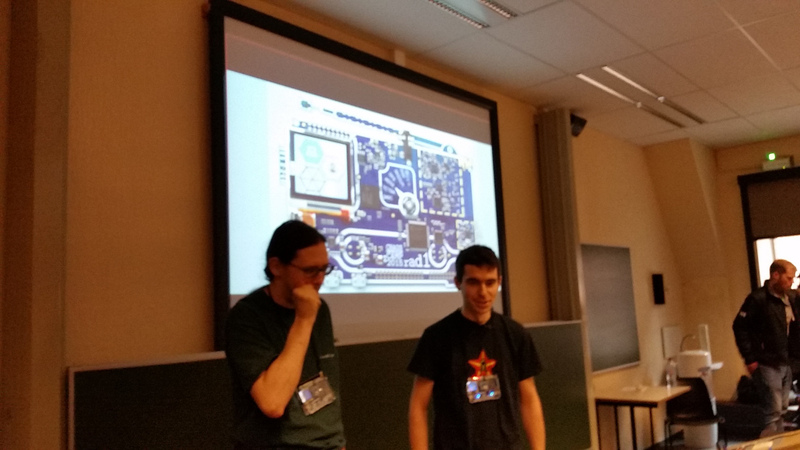 FOSDEM 2016 was last weekend with lot of interesting meetings and talks! 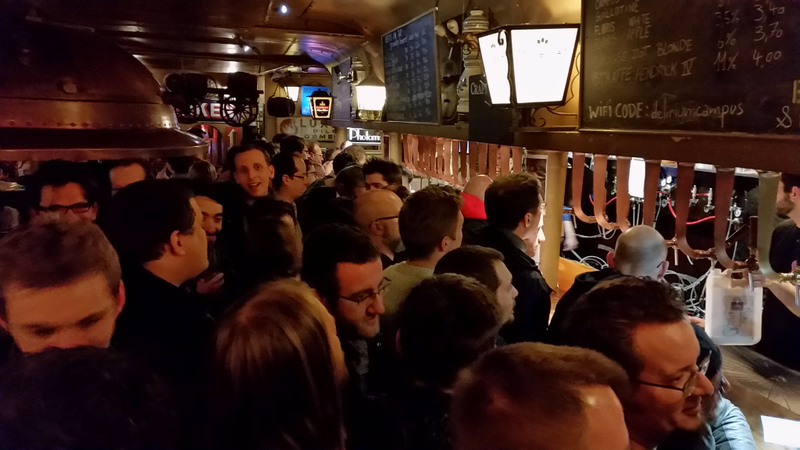 FOSDEM 2016 was last weekend in Bruxelles! Biggest event in EU this year had a bit less visitors, probably feared by the terrorist news which all TVs are exposing us. Belgians seems to take this threat seriously as we have seen lot of peoples with automatic guns in military uniforms walking around the city center, but fortunately at FOSDEM we didn’t saw any, neither someone has stop us to check or whatsoever while we have been waling in the city. Some 8000 different MACs were logged on WiFi infrastructure, so I guess at least 5000 visitors were there. The picture above shows my captures from the event, buying t-shirt was my way to say thanks to these projects which we use daily both at home and office! The slides are posted at Slideshare. TL-DR; KiCAD now is solid enough to build complex designs, what we need is little bit of twist to make it even more easy to use and few minor bugs are to be wiped, but overal there is significant progress for one year! To my surprise KiCAD team emailed me next day and we had a quick meeting with notes they took on all issues I mention on the talk! It’s nice to see such commitement to make the product better! 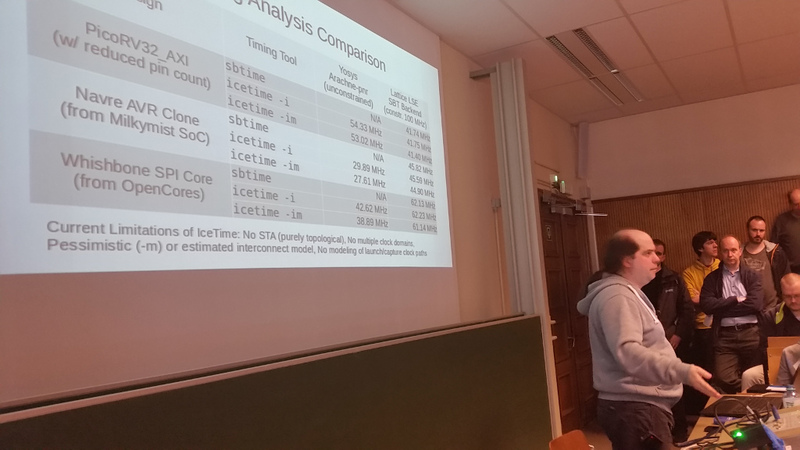 Another interesting talk in same EDA room was from Clifford who reverse engineered the iCE40 bitstream and made completely FOSS FPGA toolset, which can be used to generate iCE40 based FPGA projects. I had eye on iCE40 since Antti Lukats posted on Hackaday about his project, but we were quite busy with many other things to may play with it, now we start working on our own ICE40HX1K development board with UEXT for programming by OLinuXino and different extension connectors. The idea is to make entry level board for people who want to make their first steps in FPGA, running Clifford’s toolchain on OLinuXino with this FPGA board connected to it and with different front-end modules like high speed ADCs to make DSO or programmable level shifter 1.2-5.5V which to allow logic analyzer working on different voltage levels, LEDs, buzzers, counters, buttons with tons of examples. I already shoot Clifford e-mail about our plans and looking forward to hear his suggestions as he already have lot of experience with these FPGAs. Another interesting lecture was about the Rad1o badge for CCC. It was fun to learn for all the difficulties which the development team had to make these happen (including mistakes in the documentation which made them to drill back side of BGA PCB to disconnect solder ball) – they said they would never go through the manufacturing hell again as this production caused them gray hairs although the interest about this badge continues. Being busy all day long with both design and manufacturing, once I made analogy about the path to design board and then to run this board in production -> it’s like the process to make kid and then to rise it, teach it, make it human being. First job (design) brings just fun, joy and satisfaction, the second is not less interesting but dealing with all manufacturing bugs and troubleshooting the processes is kinda routeen and sometimes even boring :))) but neverthless must be done! Sure we enjoy more designing than manufacturing, but can’t run sustainable business without latter. 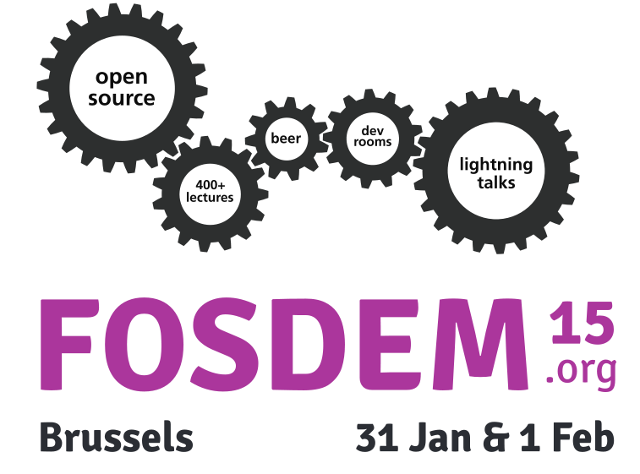 FOSDEM the biggest and coolest Open Source event in Europe is at the last weekend in January. 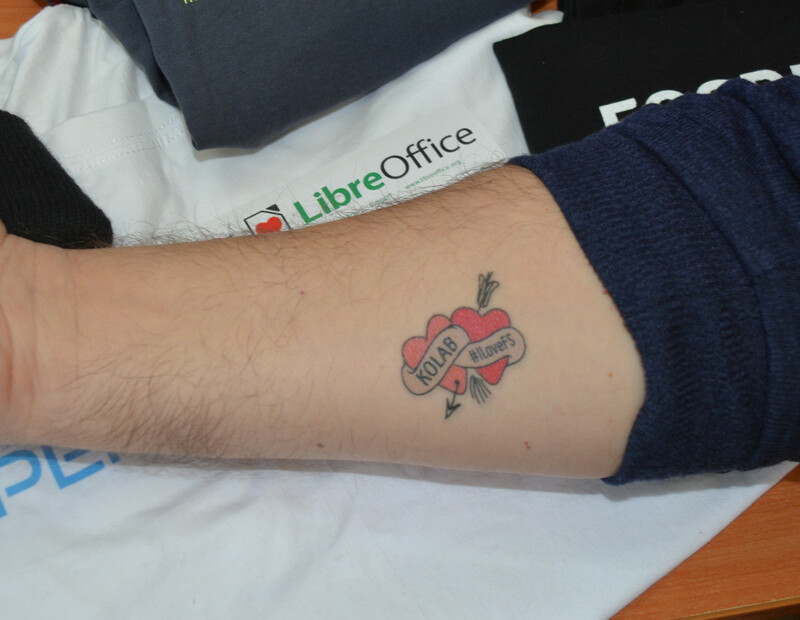 Thousands of people who love Libre Free Open Source technology come together once per year in Bruxelles and share what they did during the pass year. We have small talk about A64-OLinuXino in EDA room to share our experience with KiCAD during the PCB development. We wanted to make free SMT soldering workshop like we did back in 2013 on FOSDEM, but the workshop was declined. I do remember there were lot of hesitation for the workshop in 2013 as the Libre University of Bruxelles where FOSDEM take place didn’t want to allow soldering to be made in the University without some special permissions due to risk of fire etc. FOSDEM 2015 videos are now online. For these who missed Hans de Goede lecture about Linux-Sunxi community efforts for upstream Allwinner ARM SoC support now you can watch the video here. Hans works for Red Hat and is one of the very active Linux-Sunxi developers.